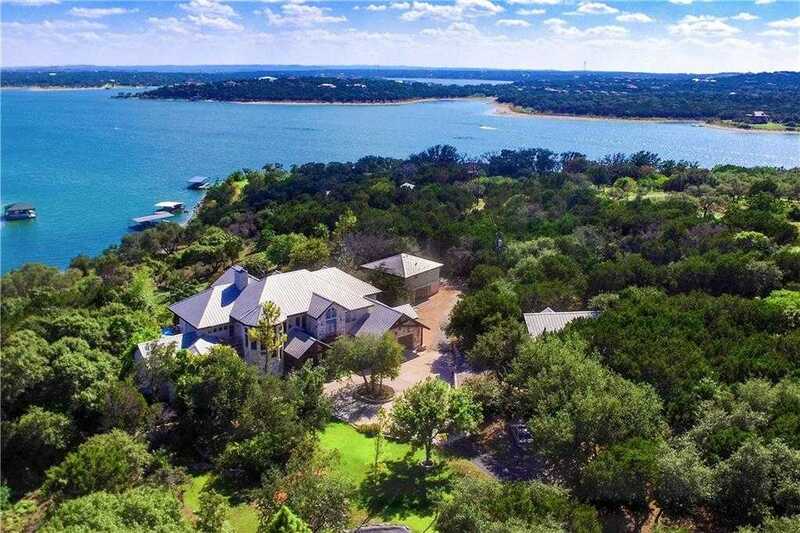 Incrediblely private estate on Lake Travis! 20+/- acres on deep water with incredible, big lake views. A wooded, winding drive takes you to the lodge style luxury home featuring an attached guest apt, enormous great room with towering cedar-beamed cathedral ceilings, floor to ceiling windows and gourmet kitchen. The custom pool has a hot tub, waterfall feature, and is complimented by surrounding koi ponds and water features. A gentle slope takes you to the water and boat dock. Addt’l acreage available! Please, send me more information on this property: MLS# 8412828 – $3,995,000 – 8015 Sharon Rd, Volente, TX 78641. I would like to schedule a private showing for this property: MLS# 8412828 – $3,995,000 – 8015 Sharon Rd, Volente, TX 78641.